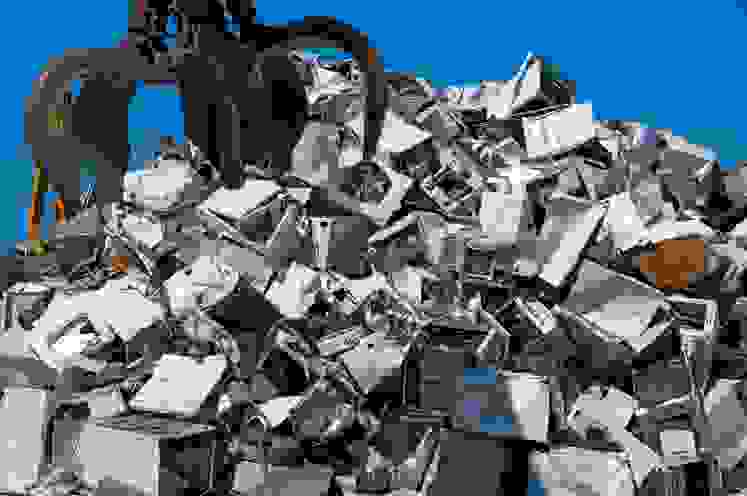 Tips for safely discarding your old appliances. Nothing lasts forever, including your appliances. If you're lucky, you may get 20 years or more out of that refrigerator or washer, but sooner or later it'll give out. Or maybe you just don't like it and are opting for a mercy kill to justify a replacement. Perhaps you want to buy a more energy-efficient model. Whatever the case, here are a few ways to stay responsible as you try to dispose of your old appliances. A giant, boxy hunk of metal isn't the easiest thing to get rid of, short of dumping it in a field (don't do that). One of the more convenient options is to swap it out when you buy a new unit. Some retailers like Lowe's, Home Depot, Sears or Best Buy will take away those old appliances when they deliver your new one, often times at no additional cost. For some types of appliances they'll use a third party to recycle it, especially for items containing refrigerants. If you aren't buying a new appliance, retailers may also take the units away, but for a fee. For example, Best Buy can pick these up for you at a cost of $100 for the first two appliances and $20 for each unit after. A small price to pay for convenience? Maybe. The Salvation Army can also take it off your hands, and you can write the value of the item off on your taxes. Services such as 1-800-Got-Junk? can also get rid of that rust-bucket in your kitchen, but the local franchises often charge fees. Recycling an old appliance is going to provide the biggest environmental benefit, reusing plastic, metal, and glass in the unit. Sometimes retailers and utility companies may recycle for you, but often they'll first try to refurbish and resell the unit. The number or recycling centers in any area varies state by state, but you can get help finding one through sites like Earth911. Credit: Flickr user "Jennifer C"
Utility companies may give you incentives or pay you outright to turn in old appliances for new, efficient ones in a rebate program. 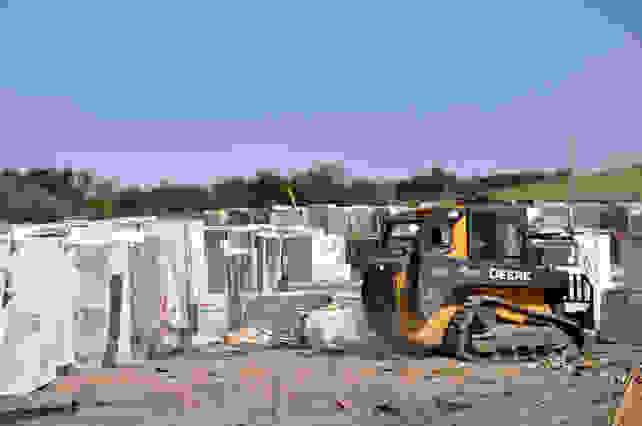 They may then recycle or sell these appliances themselves. Sometimes they compensate you with cash, sometimes with a credit to your utility account. For example, California-based Pacific Gas and Electric will cut you you a $35 check for your fridge of freezer and $25 for that old air conditioner. They do have some standards, such as the fridge being residential grade and within certain size parameters, so you'll want to read the fine print. Programs like this are going to vary based on where you live and who your utility provider is, so do some research. The EPA's Responsible Appliance Disposal (RAD) program removes ozone-depleting appliances, and they partner with certain utility companies, some of which might be in your area. Depending on where you live, you may be able to leave that old appliance on the sidewalk for trash collection, but you may have to schedule an appointment and pay a fee. In Boston, for instance, you can leave your old stove, dishwasher, washer, dryer and so on on the sidewalk next to your garbage cans on trash day. Items with hazardous gases such as refrigerators, TVs, air conditioners, and others require special pickup requests, and the trash company may cap the number they can accept from you each year (in Boston, it's five per year). 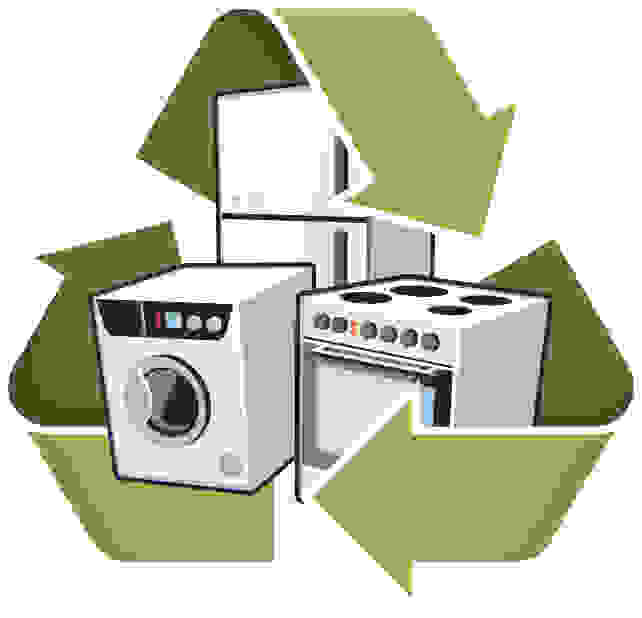 With this particular program, many of the appliance categories are recycled, so you have that added benefit. Other localities will charge to pick up some appliances. In the Boston suburb of Somerville, appliances like refrigerators and washers require a White Goods sticker for pickup, which you can purchase through the city for $25. It's important to check requirements with your local waste disposal institution. Some localities will require you to remove parts or chemicals inside the fridge before they'll take it, but never do that yourself, as they can pose a health hazard. If this is the case, ask your local waste disposer for recommended services to dispose of the chemicals and components. Whether you're recycling or just trashing your unit, you'll want to be aware of hazardous components. A refrigerator or air conditioner may seem innocuous, but refrigerants and mercury pose environmental concerns. Fridges and freezers sold before 1995 contain chlorofluorocarbon (CFC), while air conditioners and dehumidifiers contain hydrochlorofluorocarbon (HCFC). These chemicals deplete the ozone layer, contributing to global warming. The foam on fridges made before 2005 also contains these chemicals, and the fridge circuits and oil can also be contaminated. Mercury is a safety component for appliances, especially pilot light gas ranges. It makes sure the gas valve is shut off when the pilot light isn’t on. Likewise it's also an environmental hazard, posing a threat to ground water. Though gas-light ranges are decreasing in prevalence over time, an older unit may pose a hazard. You can also find mercury in washing machines made before 1972, so if you're helping your parents get rid of those ancient washers, be cautious. CFCs and HCFCs deplete the ozone layer, contributing to global warming. Older appliances may have Polychlorinated Biphenyl (PCB) in their circuits. PCB was banned by the EPA in 1979, but this once-prevalent material used to be found in all variety of appliances, including dryers, refrigerators, stoves, washers, TVs, and so on. If your appliances were made before 1979, avoid handling any internal components, as PCBs have been linked to cancer and other health problems in both humans and animals. 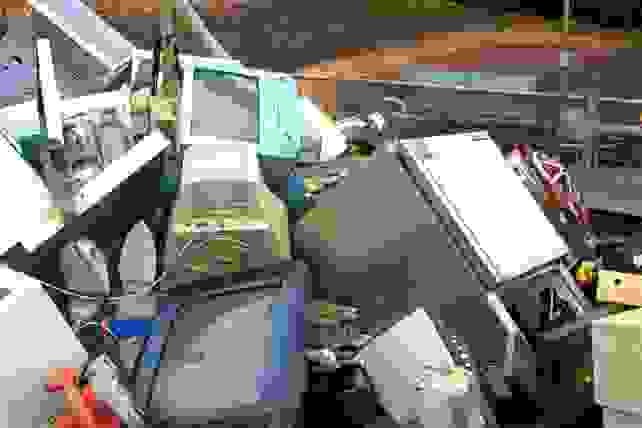 Because of federal EPA regulations, scrap yards and waste disposers are required to know how to deal with PCBs without complication, but just know this hazard is one of many reasons you should properly dispose of your appliances. For more information on disposing of appliances, consult these guidelines from the EPA. This article was originally published on Nov. 28, 2012.